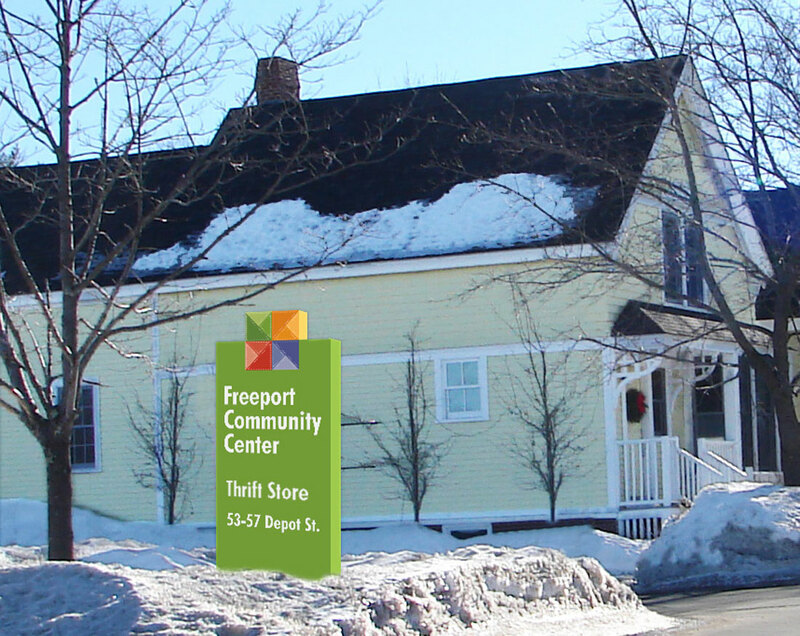 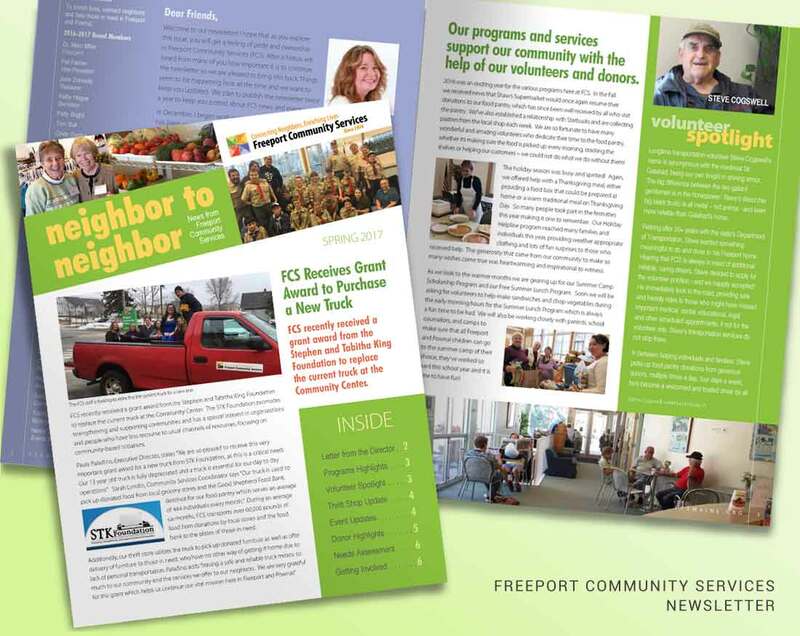 Freeport Community Services is a non-profit community organization that provides a safety net for those in need in Freeport and Pownal, delivering services such as food, fuel and emergency assistance. 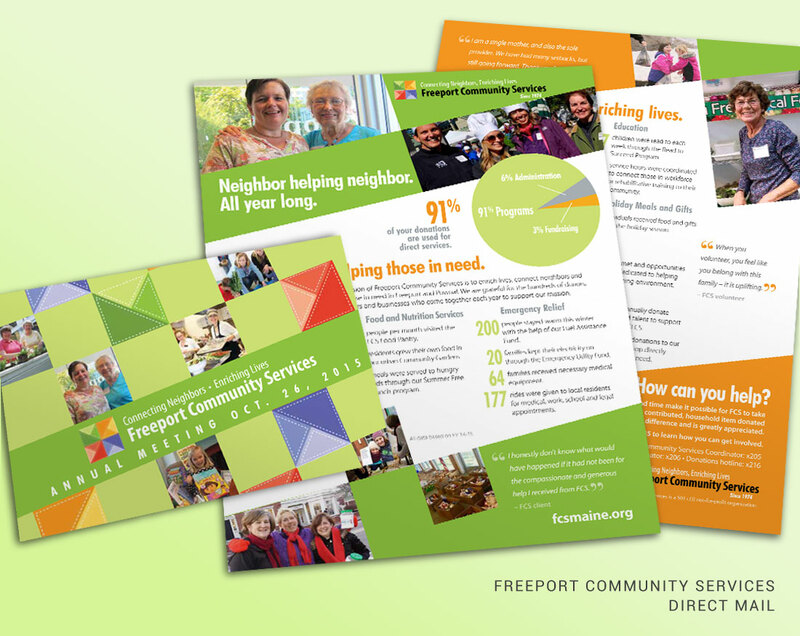 When the organization hired us to develop some marketing materials, we wanted to create a cohesive brand image that would be consistent throughout all communications, and visually represent the culture and values of the organization. 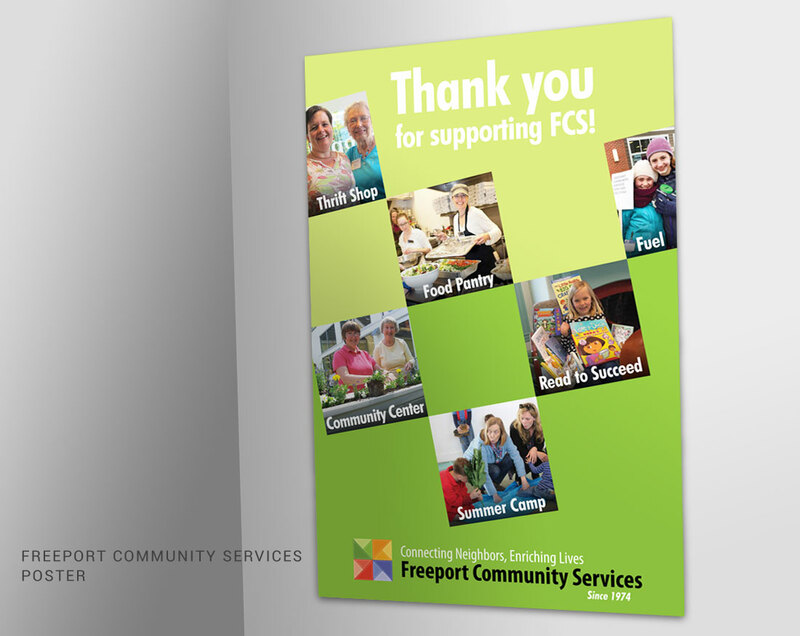 We used the patchwork quilt theme and the bright green of their logo to create a brand look to represent the organization’s values of connection, and culture of inclusiveness and support. 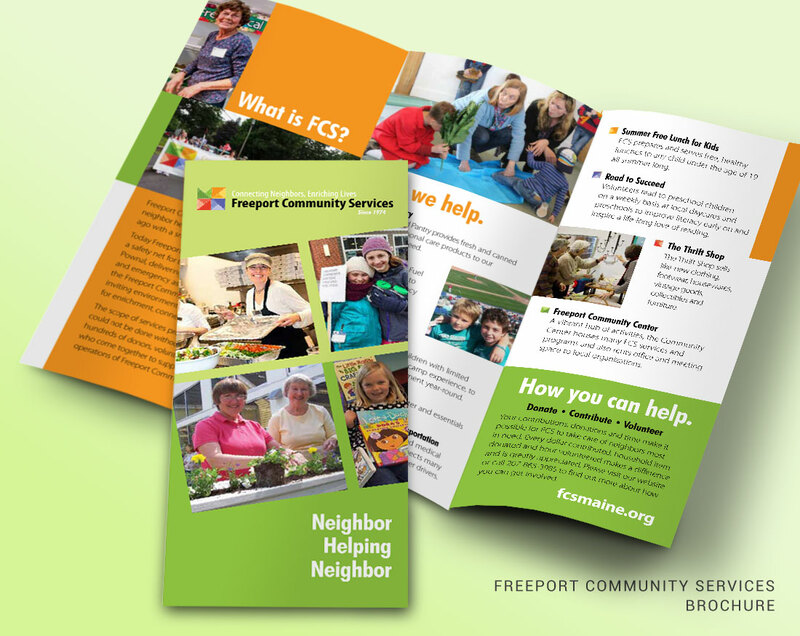 We applied the theme everywhere the organization interacted with its clients – signage, brochures, direct mail, social media, website and newsletters.